We had one last hoorah yesterday. It was a totally hot and gorgeous day - high 80's, sunny, etc. We spent 3 hours at the beach, and then went to what is becomming an annual summer tradition for us (as well as a ton of other Mainers) -an afternoon lunch at The Lobster Shack. It's an absolute must for any tourist, but it's fun for the locals too. Sophie is finally old enough that she can mostly climb the rocks safely. It epitomizes the Maine coastline to perfection. I always try to take some pictures of the kids for holiday cards. Some years they are less cooperative (if you get my drift!). This one is pretty good but I goofed and took it on "horribly low resolution" so it likely won't print well. And a picture of this beast, which is now on my longarm. It's amazingly enormous. Seriously, who has a bed THIS large?? Have a good week, and come back in a couple days! I'll leave you with a very interesting picture. It's not a collage, but a glimse of my new business cards, printed by Moo. They are simply devine; I highly recommend these to anyone. They say they will print 50 different images, but I kept uploading to at least 75 before I decided I'd done enough. The paper is very heavy cardstock. So, some of you maysee one of your quilts below (my thanks for allowing me to quilt a masterpeice for you!). Life often finds me stuck at some crossroad wondering which way to go. Usually, I have no problem quickly assessing the pros and cons of the situation and making a decision. When this is not the case, I tend to get frustrated. I am bothered by indecision, especially in myself. Seriously, who cannot look at a menu and select a meal? Or decide between two pieces of fabric? Or between two possible guilds? Today is the 4th anniversary of the scarriest and best day of my life. My daughter came into the world in harrowing fashion, scaring me nearly to death. She's a delight of a daughter, well mannered, happy, loving and sweet. We cannot imagine our lives without her. And lastly, because my blogging has been a bit sketchy lately - here's a quilt I finished recently. She didn't really like the top. It was a mystery top done at a quilt shop class. I think she really liked what I did with the quilting. It's a slight departure, even for me, but it brings a different dimension to the simple layout. It was cloudy and rainy this week so my pictures are muddy. The center was done to mimic the pinwheels that are in the corners. One of the prints is SO busy that little shows up on it. And a peek at the border and center of the more neutral blocks. The desigh mimics that which is in one of the fabrics. So, My Saturday is busy with the guild A quilt show. And then I am sadly back to working 3 mornings a week come Monday. On the flipside, kids are back to school so my afternoons will be clear sailing/quilting! This quilt was finished recently. I have bound it in the green fabric and added a hanging sleeve too. I am very happy with the overall look of the blocks, all of which have different backgrounds befitting the seasonal sampler blocks. My personal favorite, June...with nice rays of sunshine shining through the pretty flowers. April, with a sweet bunny rabbit and eggs. October, with a black cat and pumpkin. I added the spiders hanging from the spider webs in the background. And November, with a pretty feathery background. And I have just learned of a fantastic giveaway over at Jackie's site. Have you ever wanted the AccuCutter?...I sure have. Boy would I love to get this. Go have a look - the giveaway is for a few more days. In my house, the mice don't exactly play, but they don't cook either! My husband was in Boston for a couple days this week, and it was fine dining for the kids and I.
I have been working hard this week, with my boys off at camp some days. I get an uninterrupted nap period from my daughter to sew. Plus I sewed in the evening Monday since I was home alone. This is a quilt for a breast cancer patient that a client brought me last month. It's soft and delicate. The quilting, though not intrinsically complicated in the pink squares, is intentionally more detailed where I thought it'd show more (the white areas). Here's a few closer up shots...some swirly feathers. 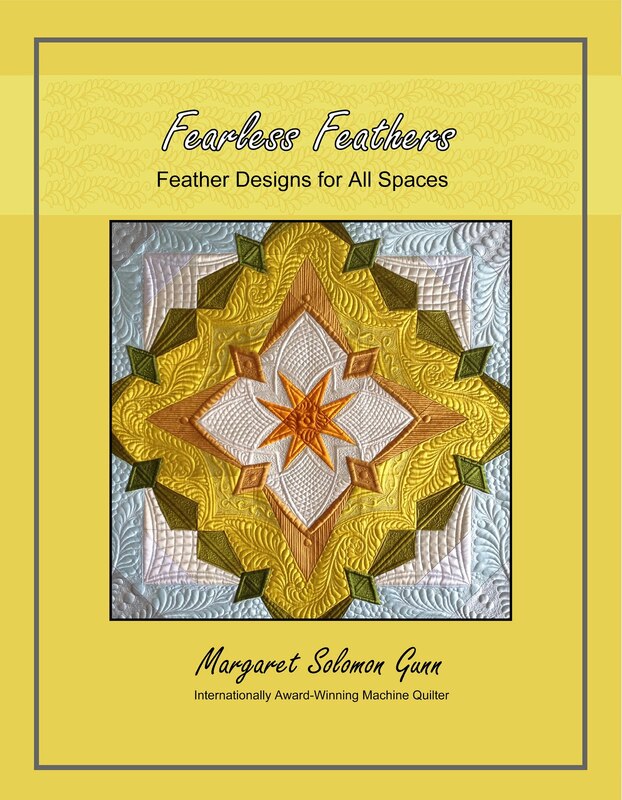 I find this type feather is a better choice when there are differing shades of color or heavier prints. They don't show the less exact backtracking over the feather, which is harder to do on prints. The center medallion is pretty. It has a sweet scalloped blanket stitch around the applique. I just wanted to set it off a bit with the quilting. And here is definite progress on my Olivia Project Linus quilt. She's now a flimsy. The back is pieced too. This quilt is next in the que to be quilted, after a custom I am doing is finished. I think (provided it gets done) I will also show this at a guild quilt show next weekend (yes, the 28th...yikes). Better get hopping! So I loaded it up and gave it a go. It's a variagated thread, so an 18 needle was used. Long story short, I am very close to tossing that thread in the trash. I quilted about 15" of my panto pattern and it thread-balled on the underside three times. I then picked it out, checked the bobbin and the top threadding and tried it again. It did the same thing. This is where it's nice to be in the basement studio because there was a significant amount of cursing to follow! After I ripped that out, I immediately went and grabbed my best coordinating So Fine #406 and started sewing. Not a thread ball or thread break or even a mis-tensioned stitch. Thank you Superior. Where this is going in the guild's show, I really wanted to do a more custom quilting, but it's a rush job, and there just was not time. I hope it still looks good enough that I acquire a few clients! If they could have seen it before quilting, they'd be running with their quilts to see me...The borders and sashings had to have been stretched when they were sewn on. The seams puckered something awful, making some of the blocks pouf up like bra cups. I even had to hand sew one of the sashings down into a better position to avoid getting puckers. Live & learn. All's well that ends well. Nobody seeing or using the quilt really cares about it's path to completion, just that it looks good in the end! Right??! And as promised, in between all the other things going on, I have pushed forward on these 15degree segments. Only 6 more to cut and sew. And then I'll need to start praying that they actually go together and lay flat!! I have been mostly either doing things this week that I am not prepared to show yet, or treading water (politically correct way to say "unproductive"!!). This morning, after I was just sick and tired of working on a very large and very not flat quilt, doing a fairly boring pantograph for 102", I decided I'd better get these blocks out and bordered. They were cut a couple months ago with the intention of making a quilt for a Project Linus book-blanket challenge which is barely over a month away. Do I hear, "E-Gads"??? A month away and it is only 8 blocks?? Yup. That's right. I have a ton of work to do so I am doing my darndest to simplify this so a completed top can be done in a relatively short amount of time. As I am sure you figured, the book I have for the challenge is an Olivia book. It is not the Olivia's Christmas book, but I stumbled upon a piece of Olivia stocking panel fabric for a couple dollars and couldn't refuse. The quilts will be distributed closer to the holiday season so I think it is ok. Below is a close up of this. It's pretty cute, in a novelty-ish sort of way. This week, my brother's family has been here. They just moved back to the states after 2-1/2 years of living in Italy. As a result, I had 3 days with next to no sewing. It is hard to knock down the backlog of quilts at that pace :-) Back in the spring, I made my SIL a quilted bag with indigo batiks she had. I failed to photograph it back then, so here is a heavily loaded picture. She loves it. It has a couple pockets inside, and a drawstring top that is tucked inside. I have knocked out 2 of my Bee blocks. These are heading to Emily (of the Fresh Comfort Bee). I'm not exactly sure that they qualify as "Drunken Love", as she requested. Perhaps I should have had a glass of vino before starting them. I do like how the larger owl is eyeing the one in the corner though! And one sneakie peek of a very cute sampler quilt that is nearly finished up. It's off frame now, and being bound. I am doing the entire quilt & finish job on this one. It is the Tisket a Tasket pattern and is so darn adorable! 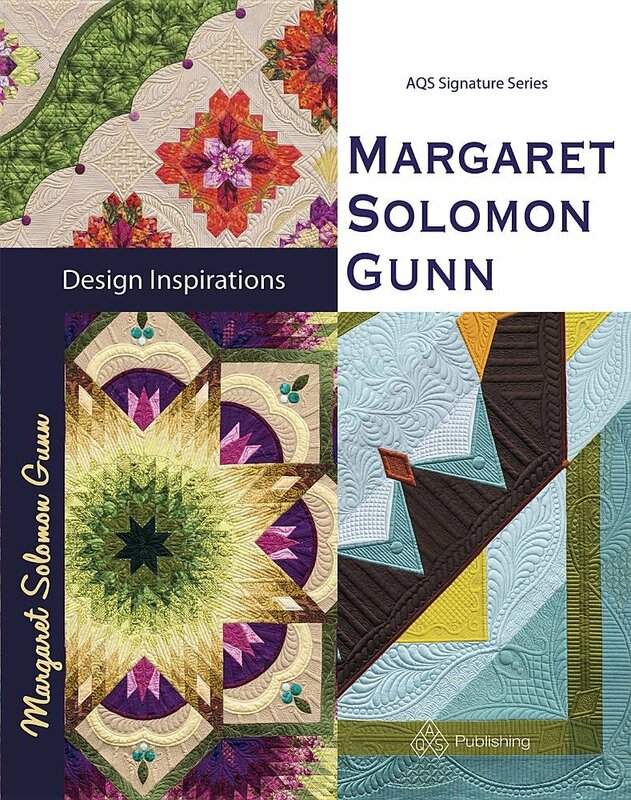 I am tasking myself to do several quilts this week. 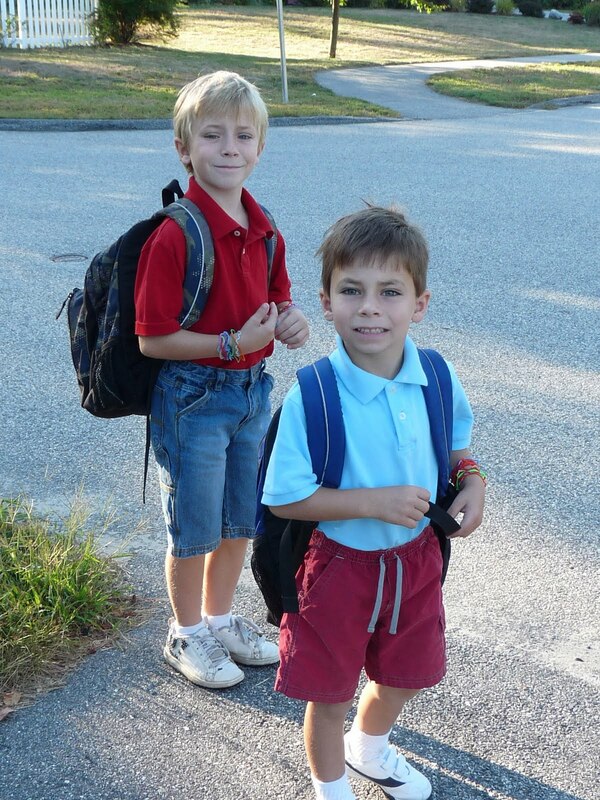 My boys are off at camp 2 full days and I plan to take advantage of it. I have a CW repros quilt on frame now that is for a local guild. It's given me fits from the start. 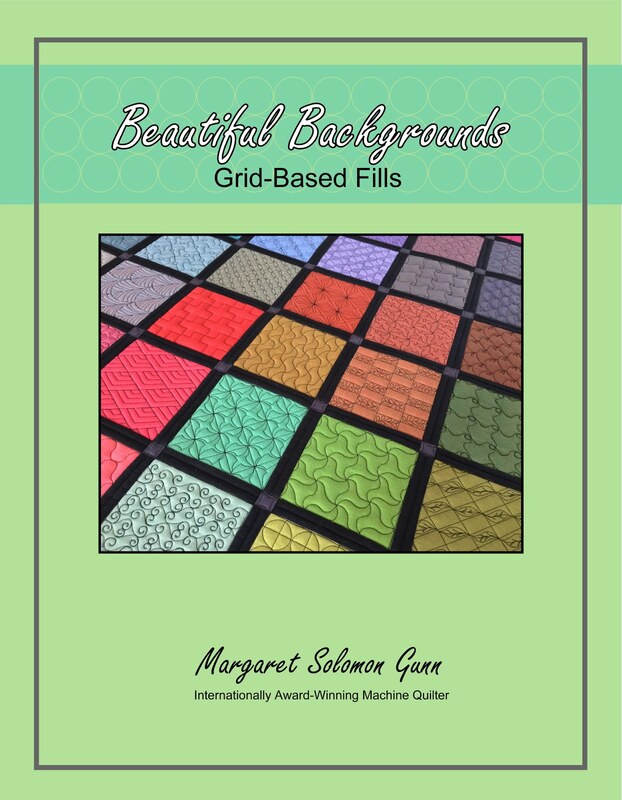 I've had thread battles, backing size inadequacies, and the general gamut of unflatness issues. I'm most ready to get this large beast off! My studio is buzzing with activity these days. I have many (MANY) quilts in the queue to do over the next 2 months, most of which are being slowly scheduled at the customer's requests. I have an absolutely fantastic applique quilt on frame right now. I know I have seen some nice quilts this spring/summer, and this is a great one too. And it's all the way from Canada too! 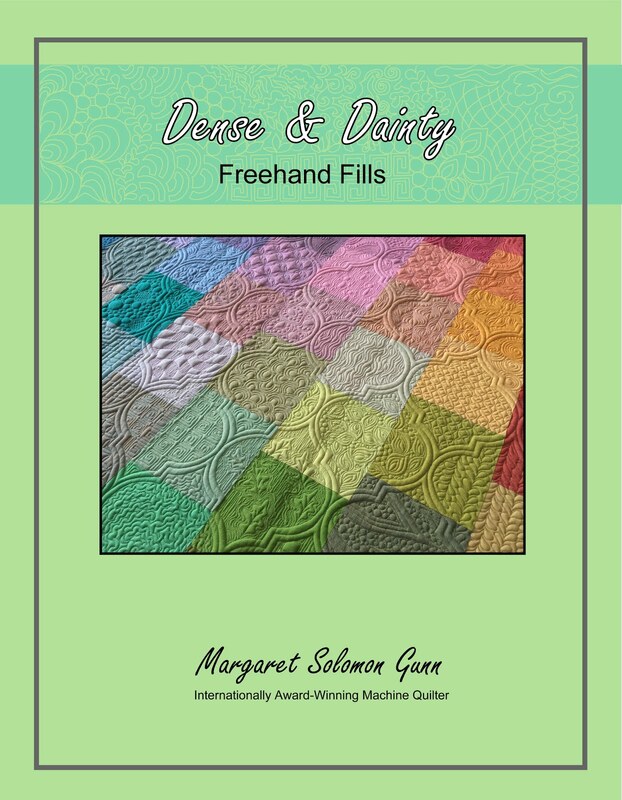 Imagine that, Mainely Quilts of Love is international. You'll get to see pictures next week sometime when I get it bound (yes, I get to take it from flimsy to completed quilt!). I have been designing for months now, wanting to do something with my stack of Stonehenge fabrics. I have 8 of these 15 degree wedges sewn, another 4 cut out. I was initially planning to paper piece them so as to get good accuracy, but promptly realized that was not going to happen because they are curved. So, I spend 80% of my time cutting out the pieces. I still have the remaining half (12) pieces to cut out...sigh!! I just hope that they all sew together with most points meeting up properly (and lay flat & round, not resembling a bra!). Much of the rest of the quilt is either paper pieced or rotary cut so it shouldn't be quite so slow (famous last words!). 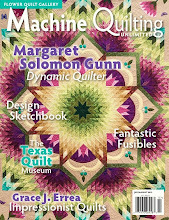 All you great and creative quilters out there...how would you quilt this rosette?? I had this quilt on my machine all week. I spent nearly 18 hours on it. It's rather enormous at 88"x100", but pales in comparison to one quilt coming my way that is something like 117"x117"! This quilt posed all kinds of challenges. It's rather out of square. The appliques are kind of sewn on, if you know what I mean. The fabrics are fairly dated, which is not an issue, but...they are ALL muted and printed, which is hard to sew on. I'm not a fan of having the stitching show all that much so I try to match threads to fabrics within reason. The mottling of these fabrics made it like quilting in the dark! I was at times stooping to within a few inches of the quilt just to see it. The client wanted feathering, but holy crap, I could hardly see where I was going and I refuse to feather in a boldly different color. Besides, I don't think it would have looked that good. I kept on stitching, and cursing, and sincerely hoping that once it came off the frame the texture would be visible and the blunders would not. I should know to believe. If nothing else, believe. The quilt came off, and the blunders are concealed nicely, and the texture is delicious. The feathering is far from textbook, but given what I could see, I think they are not that bad. The quilt has a decent variety of fillers to force the eye to wander around. I seriously need to get some larger circle templates, like 12" or so. Using a 9" circle to do those arcs was tenuous, and tricky! I probably should have SID the geese, but I would have spent 2 more hours doing it, on an already expired budget. They pop nicely, so I decided all was well. And the back, it's nicely textured. The feathers around the scalloped border are a wee-bit wonky now and then, but hey! They'll manage. I think the client will be pleased. Have a good August weekend! I received the judges comments from the show today. They were generally good, and where suggestions were made for something better to have been done, it was areas I already knew about such as that dreaded lime green flange (which I hand stitched down as an after thought). It never really layed completely flat, and I knew it, but couldn't do anything about it. I am a little surprised that there were huge variations in judges scoring. One quilt scored a 91 (which is a 1st place ribbon) from one judge, and in the mid-70's from another. I suppose that is why there are three judges so that a suitable average can be obtained. I am very pleased that the average score on Primavera was under 2 points from a red ribbon. I am so very bummed (and probably more shocked given all of it's known flaws) that Summer on the Beach was 0.333 from a red ribbon! I just needed one more judge to give me one more point. UGH! So close! I am back from a whirlwind long day at the Maine Quilt Show. It's only 75 minutes for me to drive to Augusta, but I left at 7am and did not get home until nearly 8pm. Next year I will need to plan on coming an additional day if I opt for a class. I took an all day applique class yesterday from Karen Kay Buckley. The class was fast-paced and really good. It was my first official quilting class, ever (hard to believe). I have always learned things on my own or by doing research. This was a nice change to have someone else tell me what works for her. Though my applique piece is far from done, it is looking nice technically. I have an entire new dream list of gizmos and threads I need too! But...because of being in a class all but 2 hours yesterday, I did not get near as much time to just stand and stare at all of the quilts as I'd like. Likewise, I had to pass on shopping at all the quilt shops too. It was really great to see both of my quilts hung amongst the competition. I am so proud of how they both looked. I was kind of upset because I did actually find out from my mom later on Friday evening that they both had 3rd place ribbons. I really wanted better. But to see them hung was confirmation enough that they looked really good. The demarkation between 3rd and 2nd place is a hard one to define. Many of the 3rd place quilts were very impressive, while I saw a couple 2nd place ones that I had to roll my eyes at. I am anxious to receive the judges comments in the mail this week to see how they really did, by the numbers. "Summer on the Beach" surprised me. I thought for sure this would score like a dog turd, but for some reason judges like it. I guess it just has SO many triangles that they didn't look long enough to find the ones I chopped to make it all go together. I'm not sure all of you can access this link, but it's worth a try. Here are more pictures of this quilt, as are some here. This quilt is officially retired from it's brief show circuit to take it's new place on my bed. And here is my newest quilt "Primavera", also sporting a 3rd place ribbon. It's not inconceivable (depending on what I hear from the judges comments) that this quilt may make an appearance at another show next year. It looked so fantastic hung under the show lights. The crystals on it (all 700 or so) twinkled beautifully. And seriously, it hung between two really nice quilts, both with yellow ribbons. I just LOVE that hibiscus flower quilt. My mother, the so-called-photographer, didn't get such great pictures of me with either quilt. I look stoned, drunk or just looking the other way in most of them. Lovely! Here's a few detailed pictures of these...The back is so textural. Partly this is from using 2 layers of batting (poly and wool), but partly from the amount of quilting. 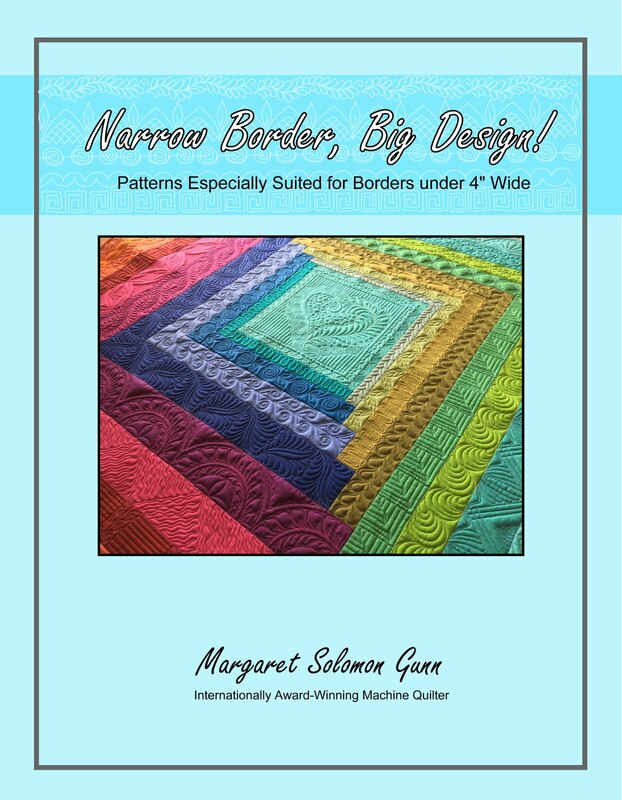 The experts at MQResource gave me such great advice on my quilting plan. I'm really glad someone suggested doing the radiating lines. It was a little bit of a pain since I drew them on with a compass and a ruler (rather than the specialty and $$ rulers that do exist), but it was worth the time. This brings one event in my life full circle. A year ago when I went to this show, and entered my first quilt, I also tested all of the longarms. At that point, I only dreamed of being able to own one. 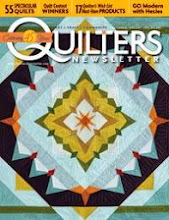 It never dawned on my I'd be able to quilt as well as I do. By September 2009, I knew I was buying a machine, but I still had personal doubts about whether I could make a home-business successful. How long would it take to get up to speed? How would I attract clients? The rest is history now. As I left the dealer that last time (after testing the HQ Fusion), I heard a song on the radio. Now I am by no means a Kelly Clarkson fan, but the words spoke to me. I found the encouragement and motivation to "Take a chance" in this song. Most ironically, as I was getting on the highway last night to come home, this very song came on the radio. I felt like an angel was watching overhead. Follow your heart. Follow your dream. Take a chance.